When we think of a scientist, we conjure up images of a very smart, but sad, serious man who never laughs nor smiles. Well, not Humphry Davy. He had a penchant for laughing gas and often inhaled it with his friends for fun. In his defence, he also thought the gas could have some beneficial properties that, when discovered, could be used to perform surgical operations and relieve hangovers. But he experimented so much with it that he became addicted. It was said that the experiment room in his house was built just so that he and his friends could throw laughing gas parties! Davy dabbled for a while in poetry, and even painted a bit but, after he was apprenticed to a surgeon, his passion for science bloomed. He love conducting experiments, much to everyone else’s vexation. He almost blew up his house several times, and the ladies also lamented the chemicals he used would ruin their dresses beyond repair. But, through his job, Davy also met other men interested in the sciences. One of these, Dr Thomas Beddoes, offered him a position as his assistant at the Pneumatic Institution, an organization that studied the medical properties of gases. It’s here that Davy became fascinated with laughing gas. 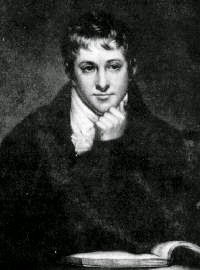 During this period, he also became friends with other famous and influential people of his time, such as the inventor James Watt and poets Samuel Taylor Coleridge and Robert Southey. He also conducted experiments on galvanisms, and managed, through chemistry, to generate electric light. A pioneer in the field of electrolysis, he used the voltaic pile to split compounds, and thus discovered new elements, such as potassium, sodium, and calcium. Davy soon attracted the attention of the Royal Institution. He started working there as assistant lecturer in chemistry. 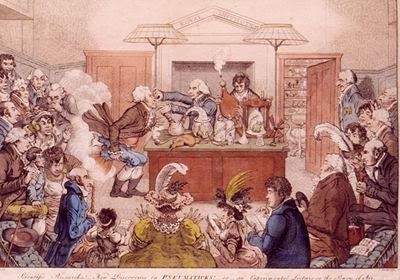 Maybe it was because he was goodlooking, or because he liked to perform experiments in front of his audience, but his lectures on galvanism and agricultural chemistry were very popular, even among the ladies. A year after his arrival, he was appointed full lecturer. In November 1804, he became a Fellow of the Royal Society, over which he would later preside. 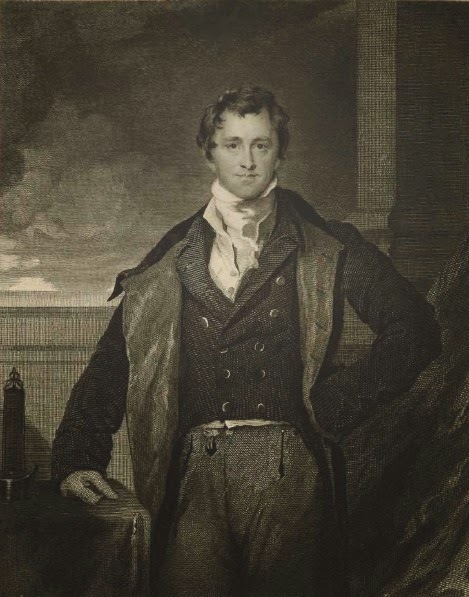 He also founded, with other learned gentleman, the Geological Society in 1807 and was even elected a foreign member of the Royal Swedish Academy of Sciences in 1810. In 1812, the scientist was knighted. That year, he left the Royal Institution and married a wealthy widow, Jane Apreece. The two soon started travelling across Europe. They first went to France, where Napoleon gave him a medal for his electro-chemical work, and then visited Italy, Germany, and Austria. They were planning to go to Greece next, but Napoleon’s escape from Elba forced them to change their plans and return hastily to England. Here, he continued his experiments, inventing a lamp that helped coal miners do their job but didn’t, unlike the lamps previously used, cause explosions. 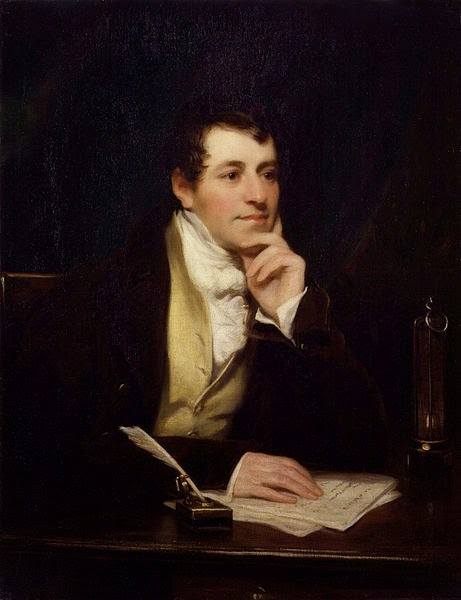 In 1819, Davy was awarded a baronetcy, and the following year became President of the Royal Society. He also wrote Consolations in Travel, a compendium of poetry, thoughts on science and philosophy, which, published posthumously, became very popular. In February 1829, while in Italy, he had a stroke. He went to Switzerland, where he died, in Geneva, on 29 May 1829.